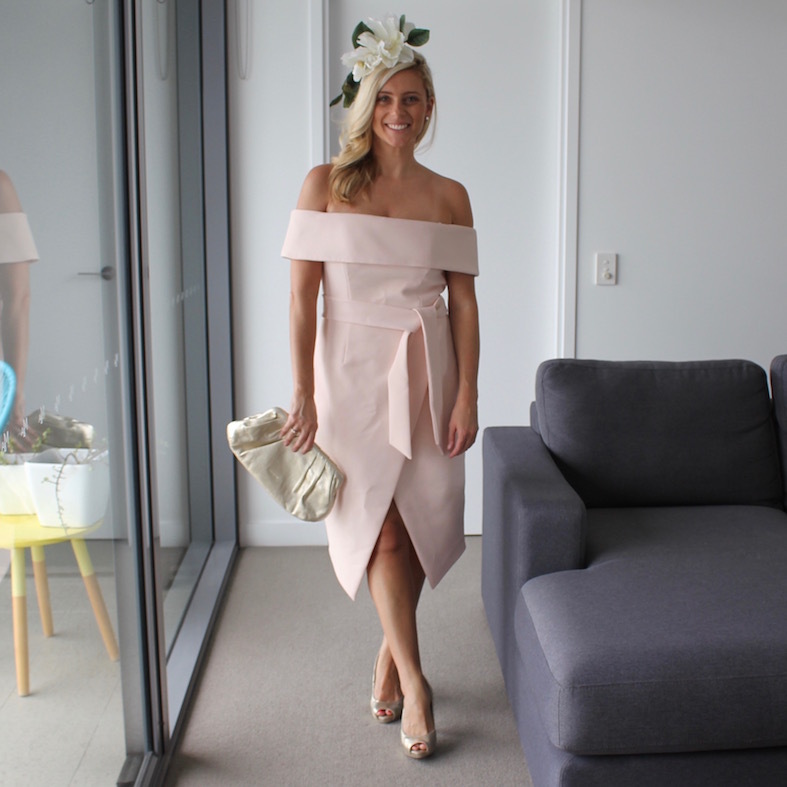 Welcome to the (mostly) Melbourne Cup-themed edition of What I Wore This Week. Fashion-loving fillies and fellas around the country embraced the day with gusto and I was no different. After last year’s gorgeous Yeojin Bae and Pink Lane Hats combo (see it here) I felt the pressure, but with no time before work for hair and makeup appointments, I had to make do with my own limited talent! Thankfully my combination of a Forever New dress and Meredith McMaster Millinery floral headpiece was a winner on the day—literally as I won a magnum of Mumm for ‘Best Hat’ at Brisbane’s Libertine restaurant and bar—and I enjoyed a long lunch with my friends and colleagues, Cass and Mel. Love your outfits! The gilet is a fave. Looks elegant and versatile.